We have recently published a new article written by our Eng. Tommaso Pinter, Business development director at Alumat Almax Group, about recovery assessment in the extrusion of aluminum hollow shapes. The article has been published on the last issue of Light Metal Age. Click here to see June 2017 issue with all the articles and subscribe. Predicting the location of charge welds that comprise the front-end defect portion of an extrudate in porthole extrusion dies is one of the key elements of controlling recovery rates in extrusion plants, and extruders have employed time-consuming laboratory tests on cut-off frontend sections of extrusions when new dies are introduced into production. As described here, such a laborious assessment can be made in short time on the computer. 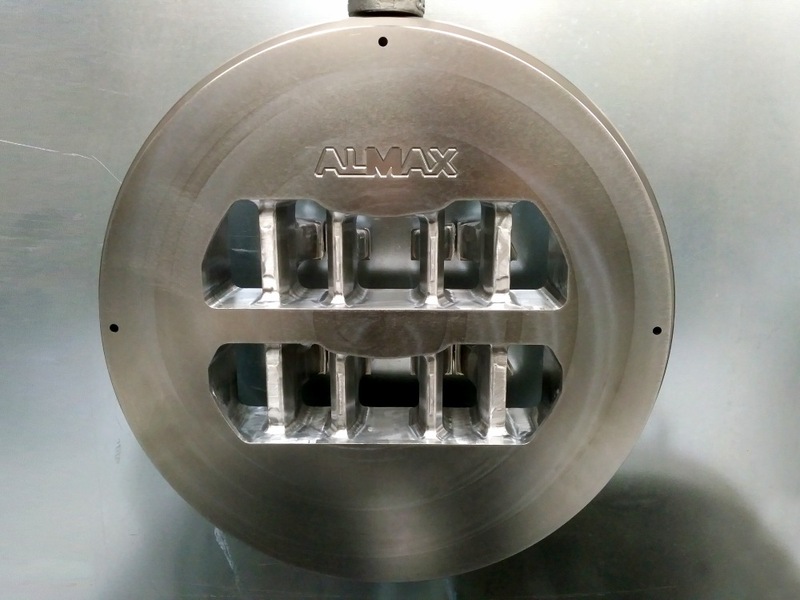 Almax Mori & Alumat has conducted extensive experimental and computer trials to verify a FEM that correctly minimizes the front-end defect in a 6061 aluminum extrusion and studied this model for other aluminum alloys as well. 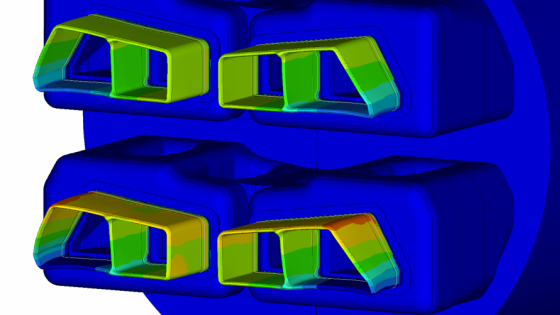 They have successfully used the FEA approach on several hollow shapes. By combining FEA and their trademarked “Butterfly die®” design for hollow shapes (the latter reducing aluminum flow resistance without affecting mandrel stability), press productivity is increased while front-end defects are minimized. Enjoy the read! And tell us what you think in the comments below. Aluminum extrusion die for crush box and bumpers.